A juggler, an urban beekeeper and a man who sees modern decor in a tattered Goodyear sign. These are three of the more than 100 small businesses in Akron and Warren who are getting intensive training from eBay over the next two months. They’re part of eBay’s first Retail Revival. WKSU’s M.L. Schultze visited with some of the uber-local businesses hoping to market themselves on a global scale. All those tricks require a lot of hoops, ranging from $15 practice models to the LED specials that start at $400. So how do you carry and protect a couple dozen high-end Hula Hoops? Her company, Modek, created the bags for circus artists and, increasingly, for others such as musicians. In just two years, she’s had 2,000 sales. She wants to sell a lot more, which is why she applied to be part of the eBay’s first-in-the-nation Retail Revival. Akron City Hall is partnering with eBay to blend local brick-and-mortar businesses into a global marketplace. Akron recruited and screened the applicants. Initially, eBay and the city expected 30 to 40 businesses to qualify. Instead, they got more than 100. Each is getting 10 weeks of training and eBay’s commitment of technical and marketing support after that. The training began in a former church-turned-community center. At times, it had a feeling of a religious revival mixed with a pep rally. But the meeting also got very practical, very quickly. Levine began by talking about the value of good photography, free shipping, and even the joy of opening a box. “When your buyer receives a package from you, when they open it, make sure they get that surprise and delight so you have a repeat customer,” Levine told the crowd. The Akron area already has a lot of eBay sellers. They did about $65 million in sales last year. But eBay’s head of global impact and giving, Chris Librie, says this is different: it’s a partnership with the city and a network of unique businesses that are branching out together. 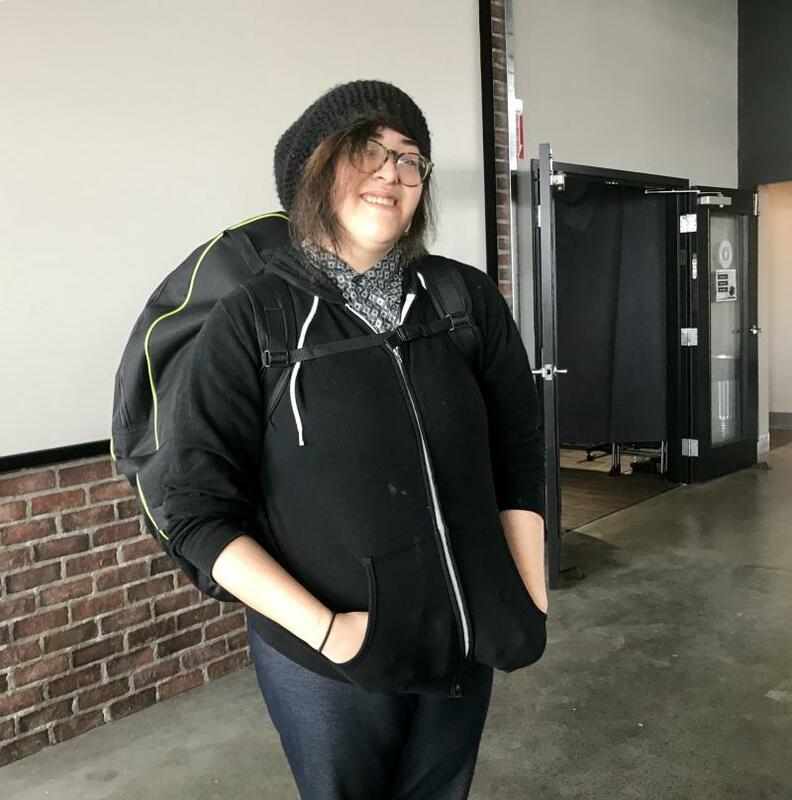 “Having a support network, a cohort as it were of people who are joining together … that’s what we wanted to do, is create a sense of community here,” Librie said. Ina Steiner is editor of eCommerceBytes.com, an online newsletter about online commerce. She praises the program for raising the profile of online sellers, whose place in the U.S. economy is often invisible to policy makers. But she says eBay’s investment here is miniscule and is raising some qualms for some of her readers who are already eBay sellers. “Because eBay’s training these people and giving them all this extra guidance, are they also going to give them extra exposure in the search?” Steiner asked. But Librie said eBay’s brand is built on a variety of sellers and buyers, and that’s what the company values. 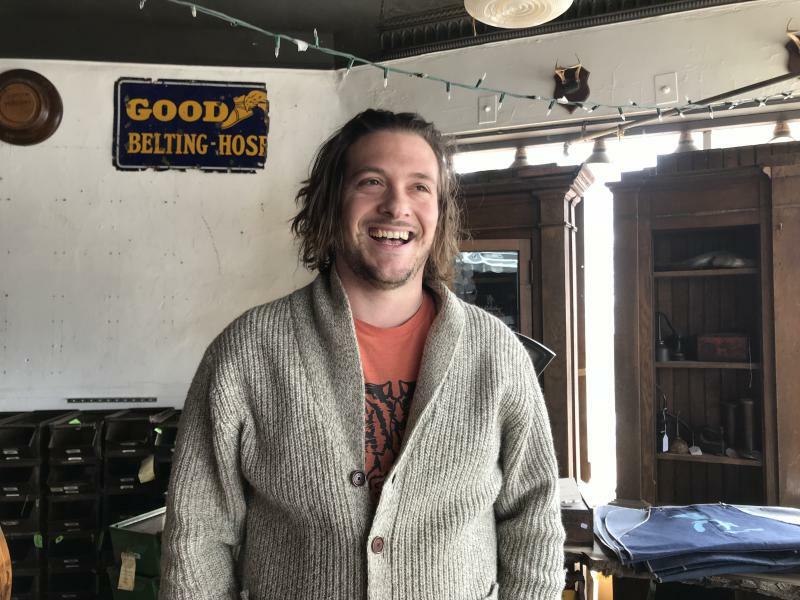 Akron businessman Jason Horinger owns Birchwood Supply Co. near Highland Square. Until now, he has only dabbled with online sales. “The way I like to look at it (is) it’s my curated collection of vintage and found home decor, with my design work mixed in with it,” Horinger said. This converted floral shop and traveling shows are more his style. But he says eBay seems like the right fit. “The difference between the Amazon and the eBay model (is) I feel like eBay is trying to tell a story,” Horinger said. Like the story of Brent Wesley and his Akron Honey Company. Wesley says eBay may be the key to keeping it sustainable. He’s still selling honey from the three apiaries he’s built on three vacant lots in the city. 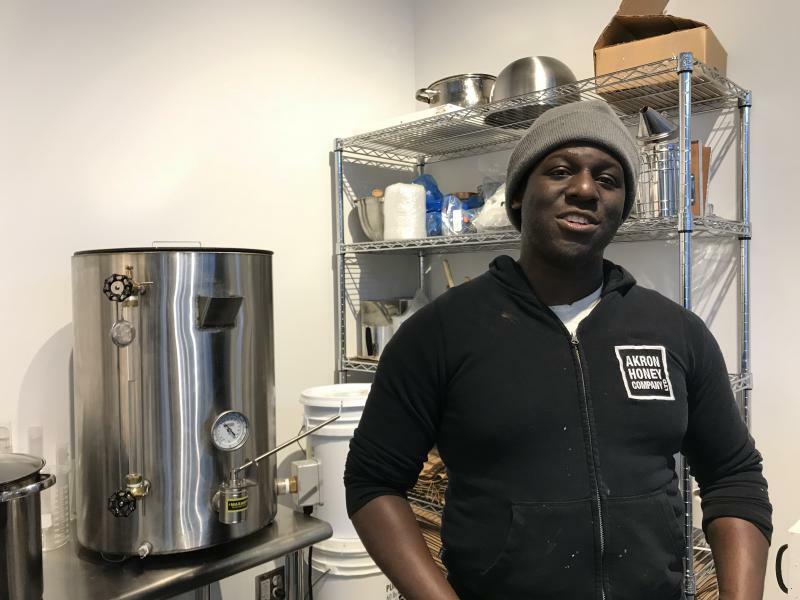 But he’s also branched into beeswax skincare products, which he processes in Akron’s slick new Northside Marketplace behind a wall of glass so people can watch the process. Now, he says, he’s looking forward to being seen around the world. Clich here for a link to the NPR story on the Retail Revival.